We never like to have to write about release date slippage. We don't want it to happen, and we know you don't want it to happen. But it's an unfortunate consequence of the many and varied complexities involved in bringing a TV show or movie to a home release that sometimes, unexpected delays do happen. And sadly, that's what's happened with Red Dwarf Series I-VIII on Blu-ray. So, first, the bad news: as confirmed by Doug Naylor at last weekend's Dimension Jump convention, due to technical issues concerning the bonus material that's to be included in the set, it has been pushed back from its intended October 2018 release date into what is, at the moment, an expected date of January 2019. Hopefully, however, your ears will have pricked up at mention of the words "bonus material", and we can confirm that yes, it's true, there will be bonus material in the set. So much of it, in fact, that it's currently estimated at present to make the release swell out to an incredible 19 discs worth of content. 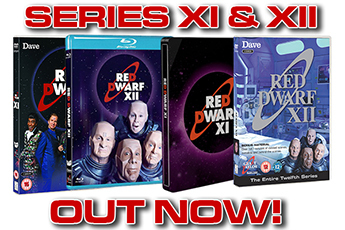 We're looking to bring you as comprehensive a single package as has ever been put together of the behind-the-scenes and additional material from the first eight series of the show - including some material that has become hard to get hold of since its initial release. And that's in addition to a truly fantastically restored 52 episodes of the show - seriously, we cannot wait until you see how the upscaled shows look. It's still very much the Red Dwarf you know and love, just... bigger. We'll look to bring you further updates on the production and release of the set just as soon as we're able - and of course, if there are any further delays or snags, we'll let you know too, though we're very much hoping that this will be the last time we have to make an announcement like this. 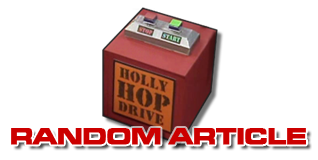 It's a shame not to have got to release the set in this, the 30th anniversary year - but on the bright side, we can instead look at it as celebrating the 20th anniversary of the final series included in the set, 1999's Red Dwarf VIII. And who's to say we can't have a 31st birthday party next year, anyway? 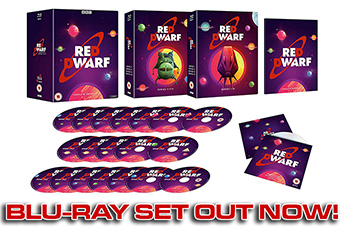 Stay tuned for further updates on the Red Dwarf I-VIII Blu-ray set!